Other factory Holden drivers may have pledged support to Craig Lowndes in his Championship bid, but the three-time title winner knows no one is going to move over for him in the heat of battle. Lowndes is 240 points behind leader Mark Winterbottom, and one point behind second placed David Reynolds, with 150 points on the line across two races today at the WD-40 Phillip Island SuperSprint. 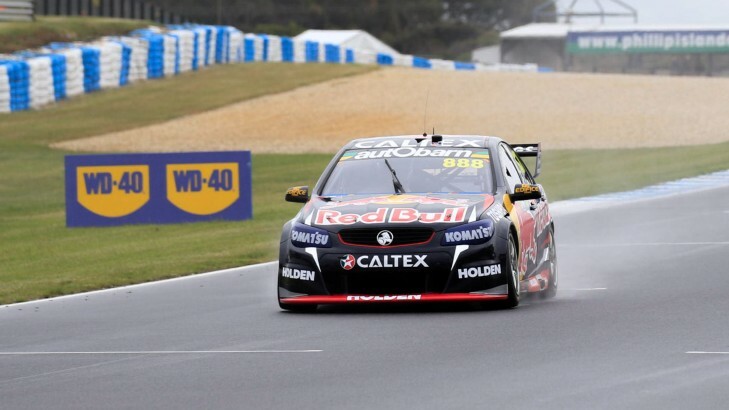 The Red Bull racer has an extraordinary record at the 4.445km Victorian circuit, equal with Mark Skaife onnine wins - the most of any current V8 Supercars driver. And while Holden Racing Team's James Courtney has backed Lowndes in the Ford fight, the three-time champ knows a win won't come easy, particularly given Red Bull, Prodrive and HRT are competingfor the teams championship and pit lane position for 2016. "I know what James has said, but by the same token HRT are still in for the teams championship as well, so we're fighting against them in that regard," Lowndes told v8supercars.com.au. "Hopefully the Holden guys will be kind to me - they're never going to move over." It's an interesting scenario given the factory Holdens were deemed to have ganged up on title contending Lowndes at Phillip Island in 2006, supporting then HSV Dealer Team driver Rick Kelly to his first Championship. Kelly's teammate Garth Tander received a drive through penalty for blocking on the Saturday and it ended in tears with an incident between Lowndes and Kelly on Sunday. Lowndes said history went to the back of the mind coming back to these tracks, and that he and the Red Bull team would need to push to close or at least manage the points gap. "At the end of the day we still have to have a fast car, we can't have it handed to us on a silver platter, we have to work hard for it. "We did that throughout New Zealand - to turn the car around Saturday night to get it ready for Sunday was a true indication the team was very focused on the championship as a whole." A tyre explosion while leading was a difficult blow for Lowndes' title fight at the ITM 500 Auckland, the team repairing his heavily damaged Commodore overnight and shifting him into a spare chassis for this weekend. The car he races today is the chassis Jamie Whincup switched out of for the Wilson Security Sandown 500. "It's a race winning car, the cars are all built identically and again, I'm just looking forward to getting out there, turning the key and seeing what we can do," Lowndes said. "It has been a fairly big turnaround - this car wasn't a complete car, although it was our spare chassis." The first hit-out came in the wet yesterday, with changing conditions affecting practice. Lowndes finished the two hour-long sessions 13th and fifth, but was pleased with the car and the team's handle on setup for the weekend. Phillip Island is a place the 41-year old really has confidence - it suits his style. 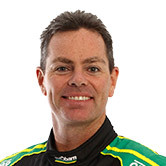 He has nine wins compared to Winterbottom's two, and Reynolds is yet to stand on a podium at the circuit. "It has (been kind) and we knew this weekend was going to be potentially good for us," Lowndes said. "We obviously have to work hard and make sure we turn it into a good weekend - because PRA are not going to stand still, they're going to keep pushing on and we've got to keeping pushing on ... if we can't close the gap we've got to manage the gap and it's as easy as that. "I'm pretty confident we can minimise the gap."